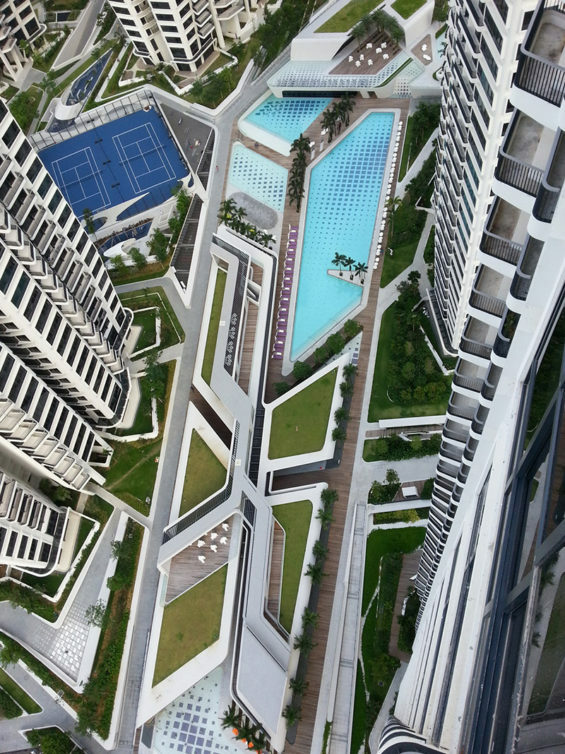 D’Leedon residential development is located in a strategic position within the Farrer Court residential area of Singapore, a unique influence on the character of the site is the absence of nearby high rise buildings. 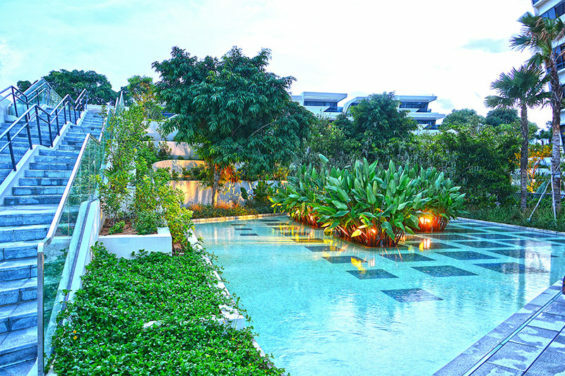 Its direct connection to Farrer Road make this a prestigious and highly visible site. Zaha Hadid Architects’ design for Farrer Court is generated by the study of the existing alignments of circulation, buildings and landscapes adjacent to the site. These various axes are drawn into the site and linked together to inform a series of construction lines with the highest degree of connectivity to the surrounding neighbourhood. 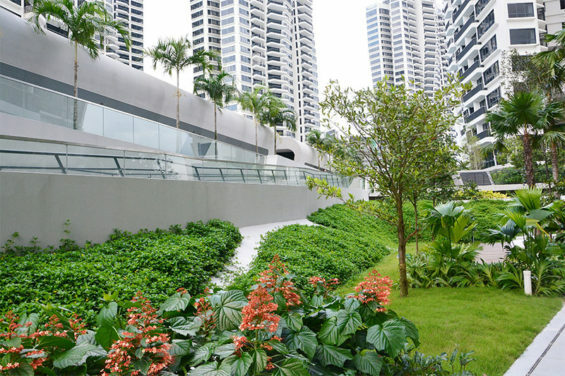 The ground level is landscaped to be a very green layer, emphasizing the presence of florid vegetation in Singapore’s climate, with a variety of levels organized into a series of terraced plateaus. The orientation and placement of the buildings is optimized in relation to the sun’s path as well as to maximize views out towards the surrounding city and landscape, while different landscape themes allow for a diverse experience and assist residents and visitors to orientate themselves throughout the development. 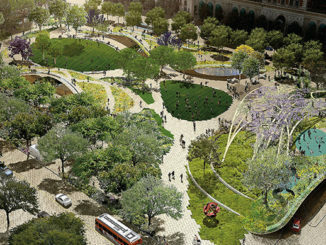 Urban plazas, forest, water, and sports facilities are the primary elements that characterise the differing landscapes. Buildings emerge from the Farrer Court landscape as a continuum; unified and integrated with an overall coherent geometric articulation. The residential buildings are organized into seven towers, which ‘grow’ from private gardens within the landscape. The lower floors of each tower ‘kink’ inwards, emphasizing the point where building meets the landscape. This also enables greater public areas and the creation of unique private gardens. The towers are subdivided into ‘petals’ according to the number of residential units on each floor. With this common principle, a series of diverse and unique towers can be generated. 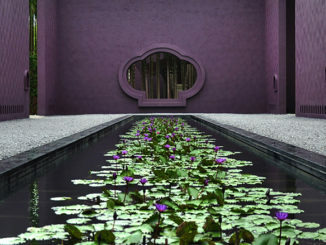 The ‘petals’ are expressed in three dimensions via vertical cuts which give definition to the building’s façades and at the same time, allow for cross ventilation. Each tower culminates at its peak with a series of fingers that blend the transition between architecture and the sky. Through rotating the buildings across the site and varying the treatment of balconies and façades, a wide degree of diversity across the development was generated. 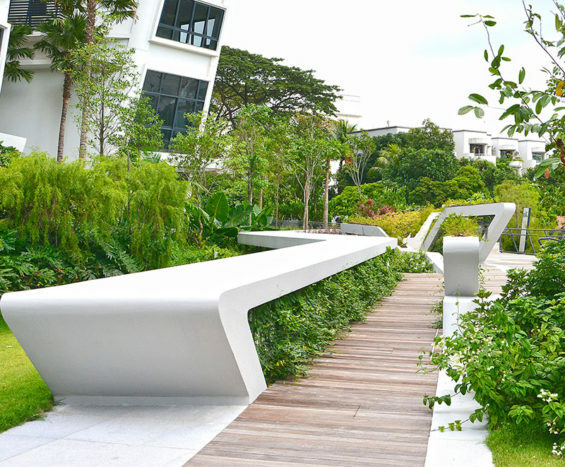 The landscape of D’Leedon is divided into 5 distinct bands that relate to the arrangement of the buildings and the topography of the site. 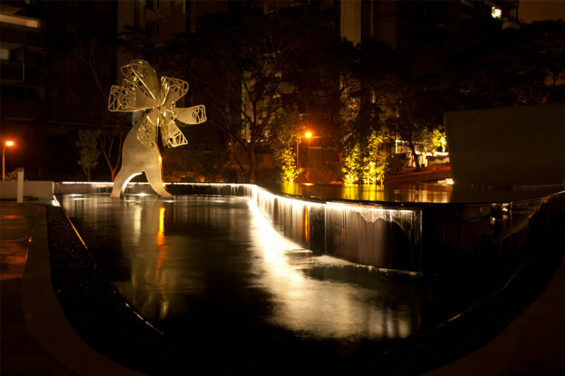 Each band has a different character and ambience, created by using a unique pallet of materials and plant species. The individual character of the bands are further enhanced through spatial arrangement, lighting and the varied facilities on offer. The effect of this striking landscape arrangement gives residents and visitors an unforgettable visual experience as they pass through the different bands. 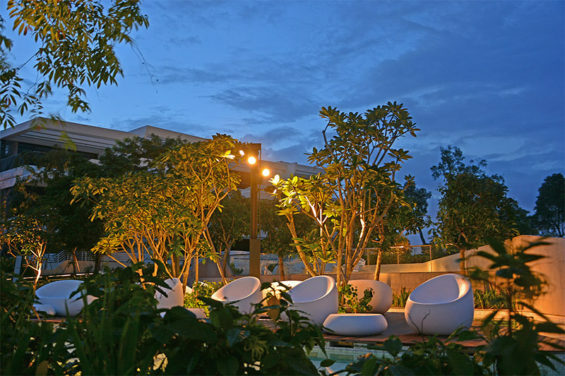 The landscape presents the varied facilities in a logical and appropriate settings which seamlessly compliments the distinct architectural language of the development. ‘Disneyfication’ of NY city Parks? I thought there was an absence of high rise that characterised the area?? This just introduces 5 more towers and some very tight narrow paths judging from the photos? The terraces look like stepped retaining walls? Difficult to see how the described design intent has been translated into reality. Oh well just another high rise development masquerading as open space.